I give you this quote from my friend and participant in the Weekend of Food. He is the one who has brought many joys into my kitchen, including perfect pancakes and cullen skink. I really wanted to put the chicken on my blog, and he agreed, but only under the condition that I quote him on the above. The chicken was absolutely divine and like nothing I have ever tasted before, which just proves his point! Serves 3. There are not many quantities here, but I explain more why below. First, mix the brine ingredients together and add the chicken in, massaging it lightly as you do. The resulting amount should be enough to coat the chicken thighs. Cover and refrigerate for 12-24 hours. 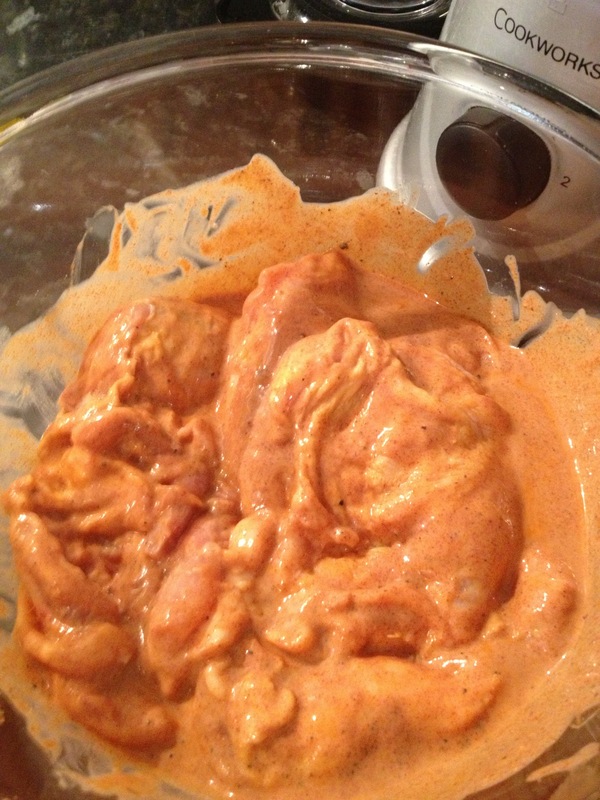 In a deep bowl, mix the coating ingredients – it should be enough to submerge the chicken. 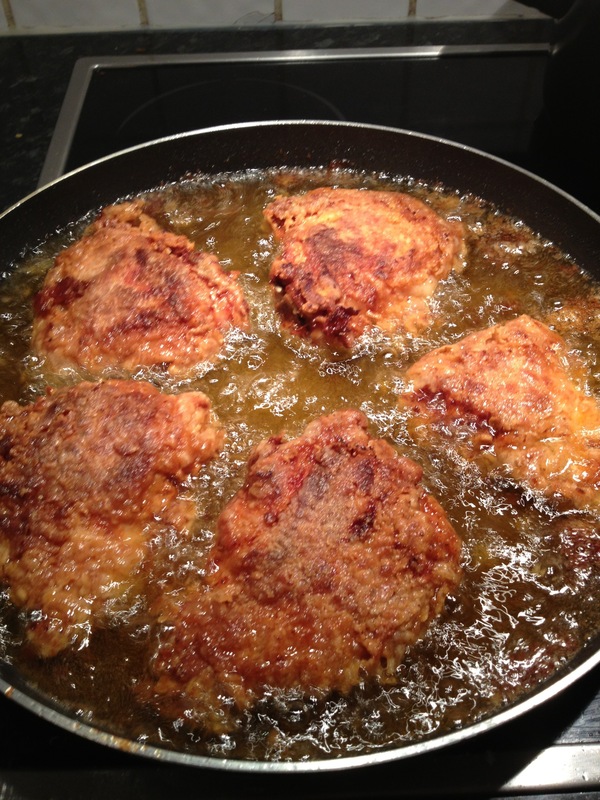 Take the chicken thighs, brush off the marinade slightly but not too much, and dip in the flour, coating it on both sides. Place on a cooling rack and let it dry out. Keep the coating aside. 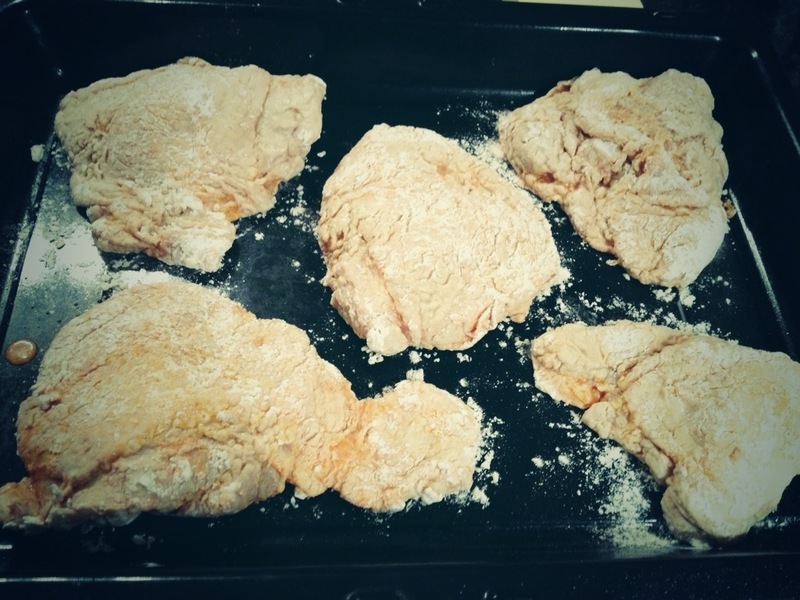 After about 1 hour, take the chicken pieces and re-coat them in the flour mixture and leave to dry again. In a somewhat shallow pan, melt the lard / beef dripping on medium heat until it is all liquid. Test the heat by dropping in a little piece of chicken (just cut it off with scissors). It should sizzle. Then put the chicken pieces into the pan so that they touch the bottom but aren’t completely absorbed. Keep the heat on medium and fry them until the bottom side is a lovely mahogany brown. Then, flip until the other side looks the same. Remove from the pan and place on a plate with kitchen towel to soak up the excess fat. 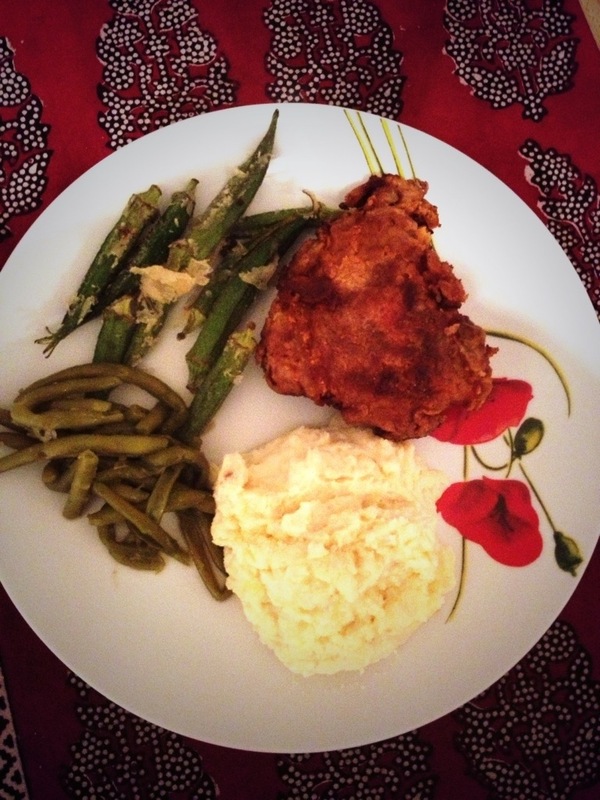 Serve with mashed potatoes and green beans! Tip for the leftover lard: We fried some okra in it (simply coat it in the same flour mixture first), which was delicious. You can keep the leftover lard to jazz up some roast potatoes as well, or you can just get rid of it. Do NOT pour it down the sink as it will solidify and block up your pipes. Wait for it to solidify and then throw it in the bin and make sure to remove it from your house immediately to avoid any smells! Very envious. You know this is up my alley. One question, is it equal proportions corn flour and regular flour? I usually eyeball it, but try about 2/3 regular flour by volume! Hi! Not sure. 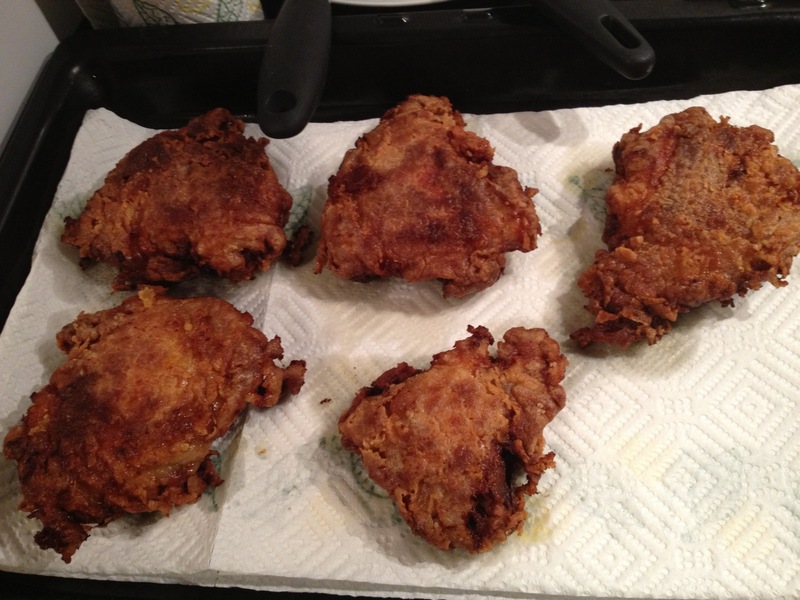 I’ve never used an air fryer … but do try it out and let me know!